Posted by Dr Dog. September 12th 2017. When your pet is lounging on the sofa in the land of nod, you might wonder why they’re whimpering and twitching, squeaking and jerking like we sometimes do while we sleep. Do dogs dream? Well, the short answer is yes – just like us humans – and it’s been proven by scientists. Dogs go through the same stages of sleep as humans – slow wave sleep (SWS) and rapid eye movement (REM), which is when dreams often occur. How can I tell that my dog is dreaming? Have you ever watched your dog sleeping and noticed that it’s whimpering, growling, twitching or jerking? If so, it’s probably dreaming. Playtime? Dinner? Treats? Running riot? You? Most likely all of the above! Anything your dog does in the day is re-lived while they dream. So the twitching, whimpering, barking and jerking movements made by your dog while it’s asleep are all part of a daily processing of information. Also, you might notice it more if your dog is younger as they spend more time in REM sleep than older dogs, probably due to the need to process new information. Yes! Cats dream too. You’ve probably seen the YouTube clip of the kitten having a nightmare and being comforted by its mum. Like dogs, cats and kittens dream about daily events, such as chasing smaller animals and climbing up trees. And given the amount of sleep they have, they definitely have time for some good dreams! In conclusion, ensuring your pet has pleasant experiences throughout the day should reflect positively in their dreams. 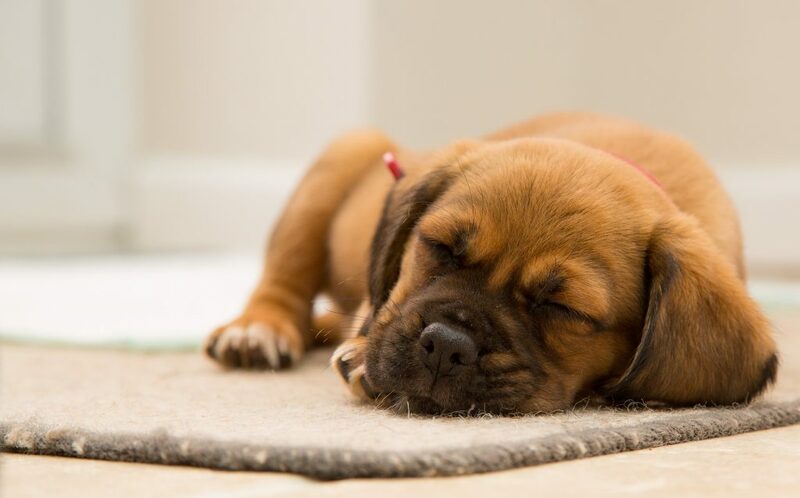 A comfortable, clean home and access to outdoor facilities means a happy life and should help to give your pet a positive and fun dreaming experience. Does your furry friend dream? We’d love to see your videos and pictures, so drop us a tweet @ArgosPets, on Facebook @ArgosPetInsurance, or on Instagram @WeTalkPet.